Matz left his pummeling by the Phillies without retiring a batter. PHILADELPHIA -- Look at it this way. Steven Matz, for one night, made sure no one would bother grilling Mickey Callaway about his questionable late-inning bullpen strategy. 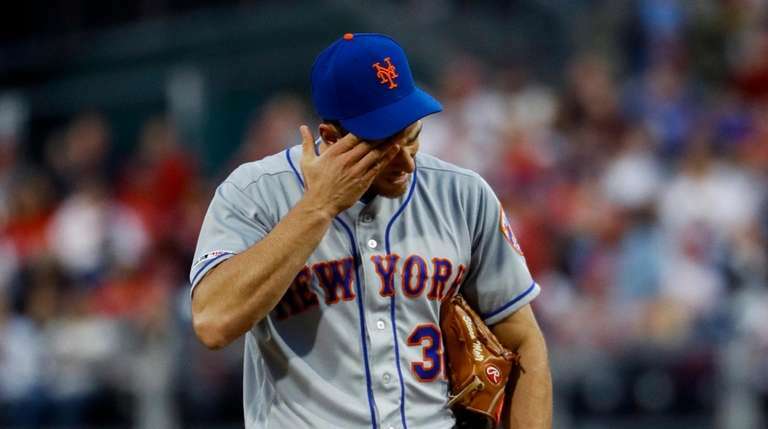 After a Mets’ news cycle dominated by the Diaz Rules, and how the strictly-monitored new closer won’t be pushed beyond three outs per save this season, Matz did the unthinkable Tuesday night against the Phillies by failing to record any at Citizens Bank Park. Matz faced eight batters and every one of them scored, setting things ablaze in an eventual 14-3 dumpster fire of a Mets loss. Matz entered Tuesday as the team’s ERA leader at 1.65, then watched it explode to 4.96, which still somehow places him second of the five, with Jason Vargas (10.13), Zack Wheeler (7.47) and Noah Syndergaard (5.63) still comfortably ahead. This has become Matz’s MO since his arrival in Flushing. Repeatedly show glimpses of his dazzling potential, yet fail to maintain the magic, making it all seem like a mirage. Heading into Tuesday, Matz had a 2.23 ERA over his previous 11 starts, dating to last August, the seventh-best in the majors during that span. 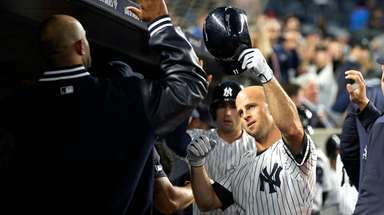 He also had limited opponents to a .178 batting average (6th) with a 0.97 WHIP (9th overall). Those numbers signaled a steady, promising upswing for Matz. 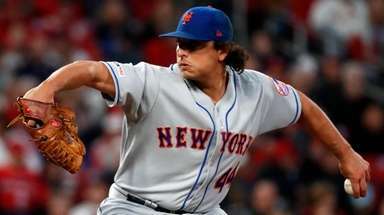 After what he did Thursday in Atlanta, where he struck out eight and allowed only two runs over six innings for his first victory, this start at Citizens Bank Park figured to be his proving ground. Instead, it was more like a burial plot for the Mets’ rising confidence, as Matz showed signs of his old destructive tendencies. He denied being frustrated by Amed Rosario’s two errors behind him, but how could he not be? Each time Rosario booted a grounder, Matz didn’t pick his shortstop up -- he turtled. First Matz left a 2-and-1 sinker up to Jean Segura, the Phillies’ second batter, who smacked a double. After the second error, Matz served a 2-and-0 changeup to Maikel Franco for a three-run homer that put the Phillies ahead, 8-0, and ended his night. For all practical purposes, it seemed like Matz had checked out already. Only four other starting pitchers -- since the mound was moved to its current distance in 1893 -- have been where Matz was Tuesday night. So let’s not pretend this was just another off day. And Matz, for all his supposed progress, keeps falling back into the same tired, circular narrative. The Mets, fingers perpetually crossed, are left hoping for the breakthrough that sticks permanently. And it never does. 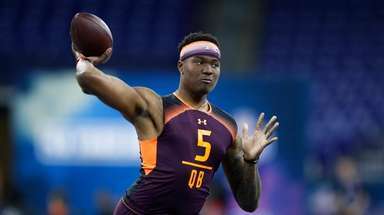 Sure, for maybe a few more decent starts, then a few more bad ones. Lather, rinse, repeat. Matz definitely was hurt by Rosario’s errors, but they didn’t have to be fatal. After Matz nailed Bryce Harper on the left wrist, loading the bases for the first time, he basically threw batting practice. 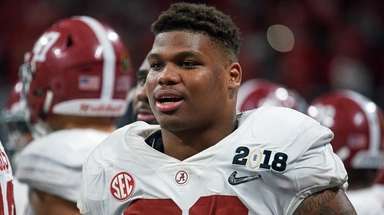 J.T. Realmuto lined a two-run double and Scott Kingery blasted a first-pitch changeup into the leftfield seats to put the Phillies up, 5-0. Through it all, no one visited the mound. None of his teammates, not pitching coach Dave Eiland. 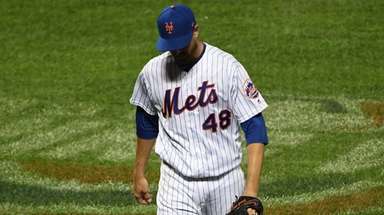 Matz was left out there to stew in his own misery, so it wasn’t all that surprising that he became his own worst enemy. Falling behind, then teeing up cookies to the Phillies. The Mets needed some distance from Matz, at the very least, and he bowed out. But the concerns about Matz and the Mets’ rotation aren’t erased so easily. 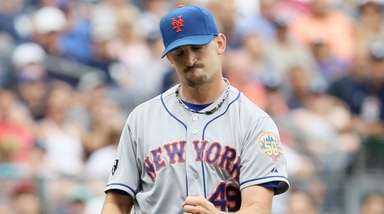 In a bizarre twist, the Mets have been winning in spite of the starting pitching, not because of it. Any night a Mets’ starter struggles, the public drumbeat gets louder for Dallas Keuchel, the lurking free agent who still can’t find a job, even with a number of contenders having an obvious need. But after seeing Matz implode Tuesday, the Mets can’t just pin all the blame on a convenient weak link like Vargas. This is bigger than Vargas. Matz was non-competitive Tuesday, and if the Mets’ rotation is going to have a combined 5.62 ERA, that’s not what anyone would describe as playoff-quality. Matz was set up to be the page-turner, the guy to change the conversation, both for himself and the rotation as a whole. Instead, the same worries persist.